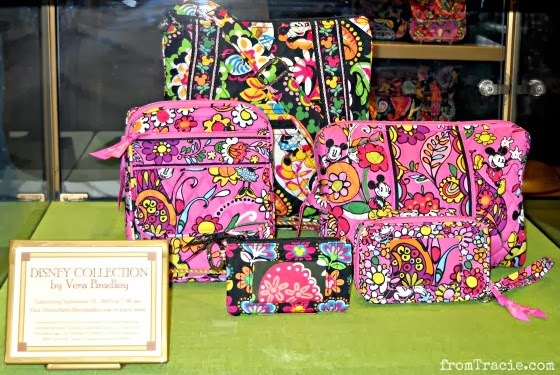 This morning I attended a media preview for the new Disney Collection by Vera Bradley. 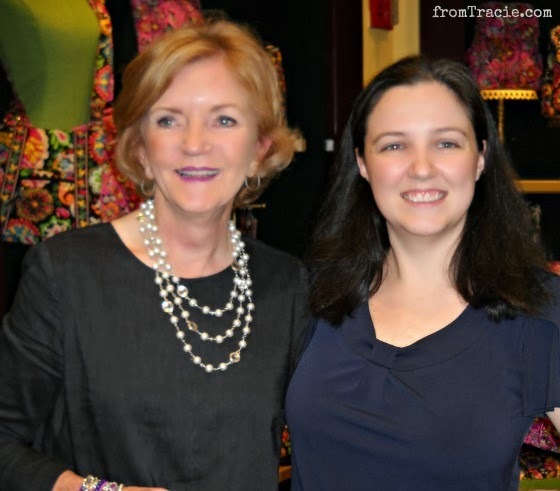 We got to see the two new Disney-inspired patterns, and meet the Co-founder and Chief Creative Officer of Vera Bradley, Barbara Bradley Baekgaard. Barbara shared a little about the origins of Vera Bradley, and I learned that Vera was a real person, not just a company name. In 1982, Barbara and her friend Patricia R. Miller were inspired to make handbags and luggage with a feminine feel when Barbara's daughters were going away to college, and couldn't find the kind of bags they wanted. With an investment of $250, Barbara and Patricia started creating bags. They named the company after Barbara's mother, Vera Bradley, and eventually hired friends and family to work with them. It started as a small business, two friends who had no formal design experience or education sewing handbags in Barbara's house, and grew into an internationally recognized company. 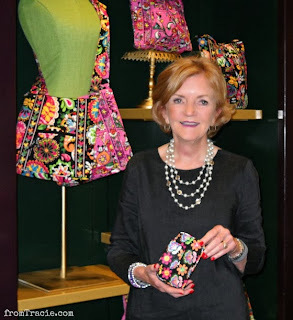 As Chief Creative Officer, Barbara was involved in the creation of the new Disney Collection by Vera Bradley. 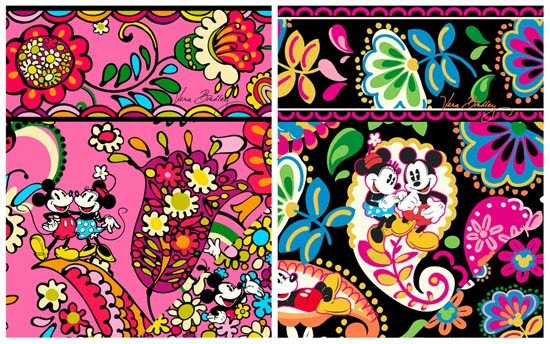 The two new patterns have signature Vera Bradley names, the pink pattern is “Just Mousing Around,” and the black pattern is “Midnight with Mickey." They are both awesome, but Midnight with Mickey is my favorite. Aren't these Vera Tote Bags beautiful? I think I need one for library visits and other book-carrying needs. 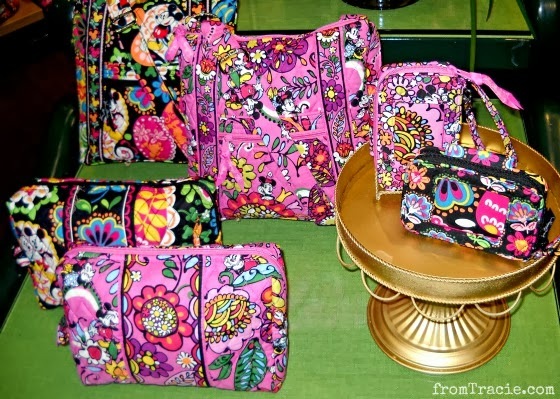 The Disney Collection by Vera Bradley has eight styles, ranging in price from $15 for the Zip ID Case to $99 for the Large Duffel. One nice thing about Vera Bradley bags is that they are all machine washable, so you don't have to worry about them getting dirty. When we go to Disney World, we always take a backpack with us, and these would be the perfect size. 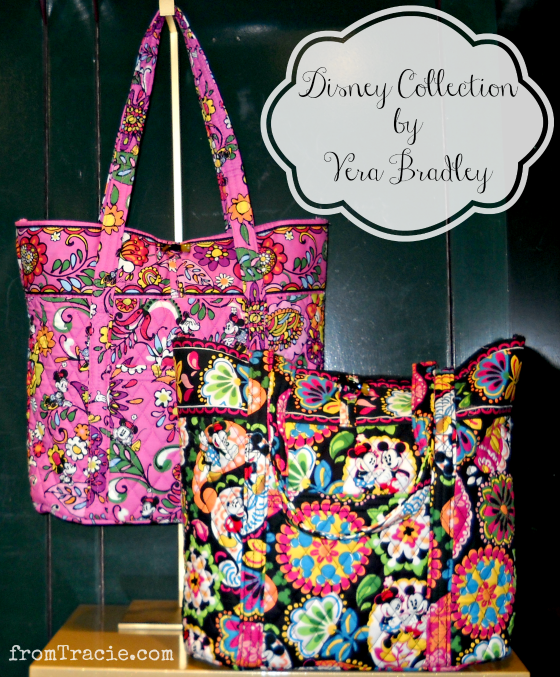 The official release date for the Disney Collection by Vera Bradley is September 21, 2013. The event begins at 7:30 a.m. in Orlando, at the World of Disney in the Downtown Disney Marketplace. The parking lot will be open at 3:00 a.m., and guests will be able to get in line at 4:00 a.m. The Disney Collection by Vera Bradley will also be available in select locations at Disneyland in California on September 23rd, and on the Disney Parks online store starting in October 2013. Barbara Bradley Baekgaard will be at the release party on September 21st from 8-9 a.m. There will be a limited number of wristbands distributed to meet with Barbara, so you definitely want to get in line early. It really enjoyed meeting her this morning; she was very sweet. You can find more information about the release party for the Disney Collection by Vera Bradley, purchase limits, and prices on the Disney Parks blog. 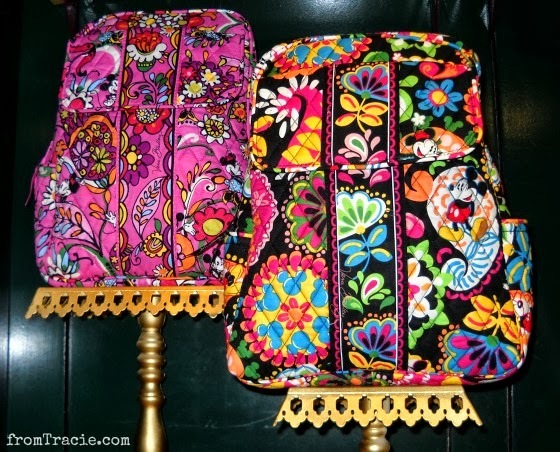 Which Vera Bradley pattern is your favorite? I thought the pink was going to be TOO pink but it isn't really once you see it in person. But still, Midnight with Mickey is my favorite. And the across body bag is my favorite style. I like "Midnight With Mickey." I love the story of how it came to be. It reminds me of Ben & Jerry's story - just people trying to get something right, without a lot of capital to begin with. It gives me home that maybe one day I'll make something awesome! My mom is a Vera Bradley fanatic. I love the stuff, too! These are too adorable. Seriously. What a fun idea for them to connect with Disney in this way. I know loads of Disney peeps who will find themselves addicted to these patterns! I love hearing stories of small business owners that find success and grow. So inspiring! These are so cute. Perfect for a day at the theme park.